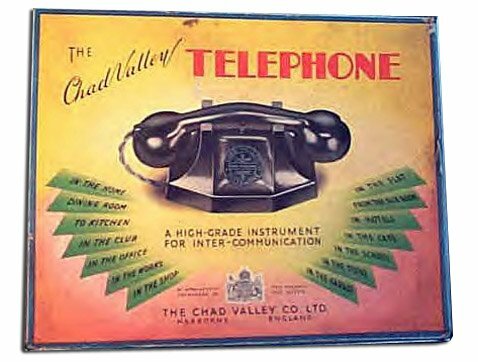 After World War II a new generation of executives deftly repositioned the Chad Valley brand for a new age. They were quick to recognise the potential of television, and used the company's reputation for excellence to sign lucrative franchise deals with the makers of popular children's programmes. By out-pacing the competition they were able to make deals spanning programmes appearing on both 1950s television channels, winning over first the different, brash regional broadcasters that made up the ITA network (today's ITV) and the more conservative powers-that-be at the BBC. They showed great skill in designing toys and games to accompany many of the popular shows of the era, including programmes principally intended for adults. Sadly they were not so fast to adapt when the world of manufacturing began to change in the late 1960s and 1970s. As others switched production abroad to reduce their costs, Chad Valley stuck with its tried and tested formula of making good quality toys in factories around the UK. So after a period of engaging the mass-market, as their prices rose compared with the competition, once again their toys appealed mainly to wealthier families. Today Chad Valley is a brand of Argos, part of J. Sainsbury plc, which is Britain's leading toy retailer. This bonus page in the Woolworths Museum explores its history in earlier times, between 1860 and 1940.
for the next twenty-one years until its demise in 2008. In the late 1930s all of Europe feared another World War and countries started to re-arm at pace. Government intervention made some factories with specialist engineering facilities switch to making munitions or other items that would be needed in the event of war. Chad Valley was impacted by this. Fortunately, with a number of factories dotted across the UK, it was able to switch production of the toys affected to another site. Executives at the Toymaker persuaded the authorities that maintaining stocks of toys in the top London stores would be good for morale. 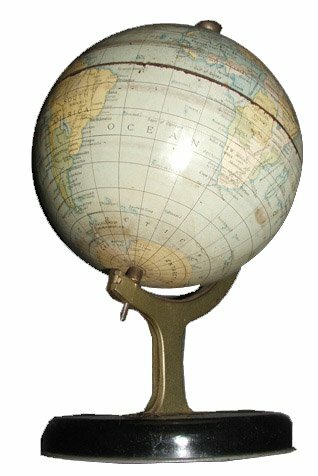 This helped to maintain supplies of diecast figures, felt-filled, hand-stitched dolls and soft toys and educational lines like the globe shown, even at the height of the Battle of Britain. By contrast Woolworth children made do with cheaper fare like Mighty Midget miniature books and patriotic sixpenny Lumar jigsaws as its staff raised money to buy Spitfires for the RAF. Every Chad Valley item of the era carried a reference to the Company's Royal Warrant as 'Toymakers to H. M. the Queen'. Close inspection of the globe shows how the world had changed by the middle of 1940. Germany had engulfed Austria, and even the British Channel Islands had become part of the Third Reich. Despite the war Chad Valley maintained rigorous quality control, ensuring that wartime teddies were every bit as classy as those made in happier times. When the long conflict finally ended the factories hurried to return to normal. They were keen to support the Government's export drive. The first items off the production line hankered after bygone times. 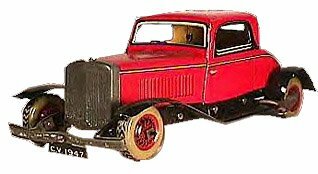 The tin toy cars had the same attention to detail and brightly polished liveries that had become a hallmark of the brand, though the majority went to the fancy department stores of the USA, rather than the shelves closer to home. It is unclear whether Americans noticed the subtle changes to the clockwork steam trains, which carried the logo of the newly-formed 'British Railways' rather than the LNER, LMS and GWR marques of the former operators. Every item received the same makeover, creating idealised versions of the real thing. The old Carter Paterson van got a BR livery, while the London Bus adopted the thinner chassis that had been adopted to make it easier for the Routemasters to wend through the narrow blitz-torn City streets. As the nation recovered from the war it underwent deepset social changes, forcing Chad Valley's management to rethink the toymaker's strategy. The Board resolved to maintain the brand ethos and core values, but to explore ways of manufacturing toys that could be sold more cheaply, to supplement their traditional ranges. This allowed them to compete for business at Woolworth's, for example. While the retailer had dropped its earlier fixed price points, it considered the traditional range to be too expensive for its clientele. But its Buyer was won over by the offer of a range which carried the Chad Valley branding, but had less detail and a plain livery to keep the price down. 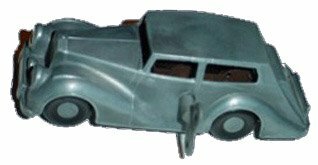 He snapped up the clockwork diecast cars, finished in battleship grey and did a roaring trade selling the solidly-built vehicles for half a crown each (2 shillings and sixpence or 12½p). Echoing a landmark success, Chad Valley capitalized on the royal fever which swept the nation after the accession of the young Queen Elizabeth II. A jigsaw showing the Queen with Their Royal Highnesses Prince Charles and Princess Anne became a smash hit around the world. In deference to the Monarchy, it was felt that the faces of the Royals should not be split between jigsaw pieces. Instead the puzzle was cut with extra large pieces in the relevant places and standard-sized ones elsewhere. It became one of the first products to carry the revised Royal Warrant, carrying the words "Toymakers by Appointment to Her Majesty Queen Elizabeth the Queen Mother". The Queen's coronation also inspired a more radical move by the toymaker, as it responded to news of many households buying their first television set so that they could watch the spectacle. Executives had learnt well from their experience in making Snow White and the Seven Dwarfs dolls for Walt Disney. It spotted the potential to make toys to complement popular programmes on television and radio. Gaining first-mover advantage, it was able to agree licences for a number of hit series on both the BBC network and the new ITA commercial service, as this went on the air. Designers showed great imagination, creating unique toys to match the appeal of different styles of programme. Comedies became a favourite, with the Jimmy Edwards classic Whack-o! and comedian Tony Hancock's satirical Hancock's Half Hour inspiring popular games, while quiz shows like the Michael Miles hit Take your Pick demonstrated particular potential. Such was the breadth of Chad Valley's production capability that it was able to devise a variety of very different merchandising. This is illustrated by their biggest success, in signing The Sooty Show, which became must-watch family viewing for many youngsters. Its creator, Harry Corbett, had developed the concept while working at a holiday camp. His three puppet characters got into all sorts of scrapes, just as children do, and lived as a kind of family with their puppet-master. The show had the common touch, and was quite unlike the talking-down style common to most children's programming until it aired. Sooty was a bear who did magic tricks that always went wrong. He never spoke out loud, prefering to whisper in Harry's ear. Sweep was a dog, who could say more in a squeak that Mrs Mills managed in three posh sentences to Muffin the Mule. And Soo, a Panda, was practically perfect in every way. While she was quietly spoken, she knew exactly how to keep the boys in line, just like a 1950s Darcey Bussell talking strictly and assertively to a naughty Craig and an over-enthusiastic Bruno! The Sooty franchise was a smash. Chad Valley fashioned a Board Game, a library of books, and magic tricks by the score. All proved good sellers. But none could rival its pièces de resistance, hand-puppets. They sold so well that executives had to add capacity to meet demand. They paid top-dollar to acquired the leading soft-toy manufacturer The Chiltern Toy Company. 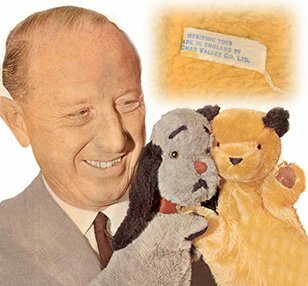 The early episodes of The Sooty Show were broadcast live. Drawing on his training as a Butlins red coat, Harry Corbett often proved that he could cope with just about anything. Then one day disaster struck, when his enthusiasm got the better of him. In one scene he got so carried away as he staged a mock fight between Sooty and Sweep that the Sooty puppet flew off his hand towards the camera, coming to rest with its sew-in label filling the screen. As the control room urgently cued a commercial break, fearing children might think that Sooty had been injured, viewers were treated to the words 'Hygienic toys. Made in England. Chad Valley Co. Ltd.' plastered right across the screen. This was surely the very definition of the words 'as seen on TV'. The toymaker reaped a hansome reward from the incident. Within hours toy shops up and down the land began to demand more stock. 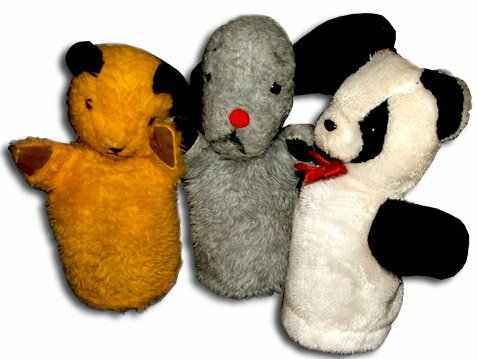 They had sold every Sooty, Sweep and Soo puppet they had! 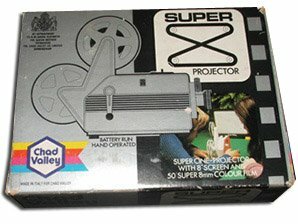 For many of today's parents and grandparents the defining Chad Valley product was the Give a Show Projector. These brought countless hours of happiness and were one of very few toys that actively encouraged kids to want to go to bed. 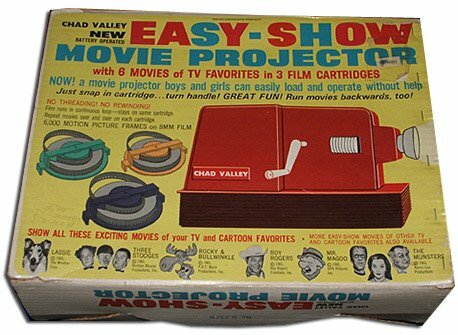 The battery operated projector included strips of seven pictures from some of the popular TV shows of the day. Over time the selection morphed from the 1950s favourite Popeye the Sailor Man, to extracts from Gerry Anderson's Sixties classic, Thunderbirds. The boffins had hit on a great product, embracing the technology revolution of the era, the rise of Childrens TV and the rocketing popularity of character brands. Children took their invention and made it their own. They ignored the stuffy instruction to "project the picture onto a piece of card about eight feet away", discovering the great picture and wonderful effects and shapes that could be achieved under the covers on their white bed-sheets! The success of the Give-a-Show inspired a range of items, including extra film strips, either singly or in fives at pocket-money prices, and projectors, initially for cassette films of popular TV programmes from Britain and America. These were exported all over the world. We flew our exhibit back from Canada, as revealed by the spelling of the word 'Favorite' on its box. The revoltionary idea of replaying television programmes from cartridge tape was inspired. Had Chad Valley patented the concept they might have reaped a reward in licence fees from Betamax and VHS Video Recorders when these technologies emerged twenty years later. The 1970s Projector gives a hint of the way the manufacturing world was changing. Under the new-look logo, in tiny print it says 'Made in Italy'. Instead of making everything from scratch, increasingly firms like Chad Valley used overseas factories to cut costs and accelerate the introduction of new products. The upmarket toymaker had always admired technology. Its telephone set, which had joined the range just before World War II, became a hit in the Fifites and Sixties as more people had the real thing installed at home. The original Bakelite design, mirrored the engineering employed by the 'GPO' (the Greater Post Office) for their home telephone service. The GPO has since been reborn as 'BT' (British Telecom). As the Fifties continued, moulded plastic took the place of bakelite, allowing the toys to be made in bright colours, boosting their appeal. Another example of Chad Valley engaging with new technology was the introduction of a very popular wind-up gramophone in the 1950s. This was subsequently replaced by battery operated model called the 'slot'n'go', which sold well throughout the Sixties and well into the 1970s. To accompany them, there were 45rpm Chad Valley Records of nursery rhymes and children's songs. The Fifties model, complete with the Royal Warrant, has become a popular collectable today. Like many of the products of the era, it has stood the test of time. Most work straight out of the box, over sixty years after they were first made. Despite their track record of innovation, and some clever new games, cheap, foreign imports presented an increasing challenge in the late 1960s. As a result sales started to dwindle. Chad Valley enjoyed occasional successes like Jacko the Monkey, a Woolworth exclusive, and a franchise link-up with the TV show The Smurfs. It also sold lots of well-made musical instruments. But increasingly only the major US toymakers seemed to have the muscle to compete with Hong Kong imports. Fearing that the writing was on the wall, in 1978 Chad Valley's Board took the tough decision to accept an offer from their arch-rival Palitoy, the makers of Action Man. The sale of the Company became a watershed moment. Despite assurances to the contrary during the takeover period, it soon became clear that the new owners had problems of their own and would not be able to develop Chad Valley as a brand. Instead it was broken up. 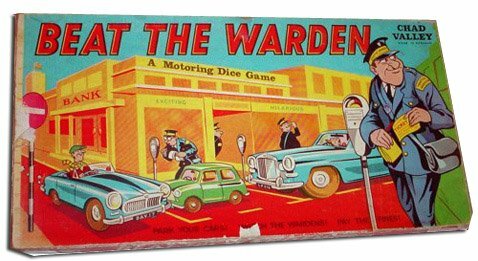 Its best selling toys were sold to the highest bidder, with Escalado for example transferring to Waddingtons, while its educational credentials were licenced to Milton Bradley. Without manufacturing capability, it appeared that the 118 year old brand was destined for the scrap-heap. It would soon fall to a former stockist to revive the marque, as Woolworths fashioned new products for a new generation in the late 1980s.